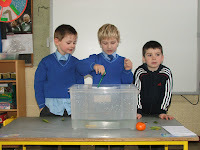 Today we worked as scientists. 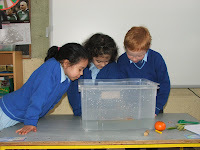 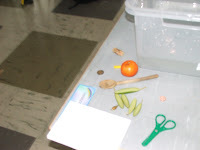 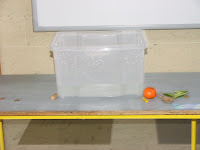 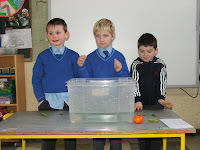 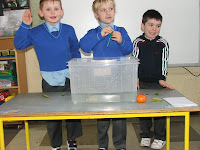 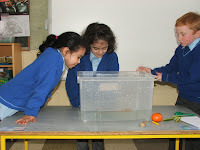 We carried out an experiment to see if all heavy things sink. 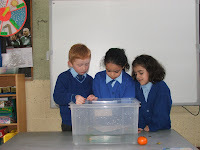 We looked at alot of different things to investigate the question. 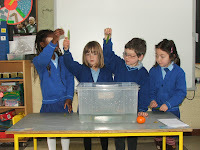 We all told teacher what we thought was going to happen. 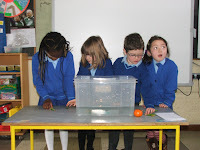 13 children thought that all heavy things sink and 4 children thought all heavy may not sink. 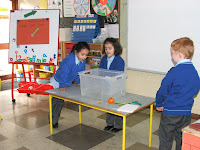 We wrote our guess on our sheet and some boys and girls put the object into the water, we all watched closely to see if it would float or sink. 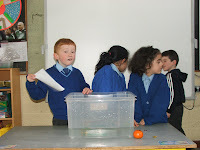 We recorded the result on our record sheet. 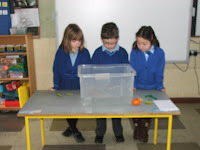 We were all really suprised to see that the orange floated in the water. 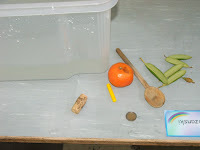 The result of the experiment showed us that not all heavy things sink.